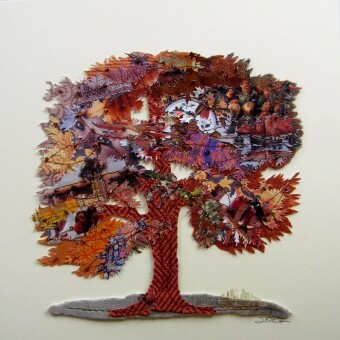 Inez is from the Netherlands and has been living and working in Connemara for more than a decade. 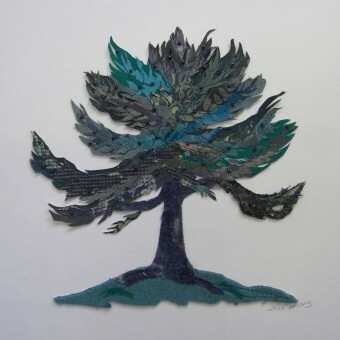 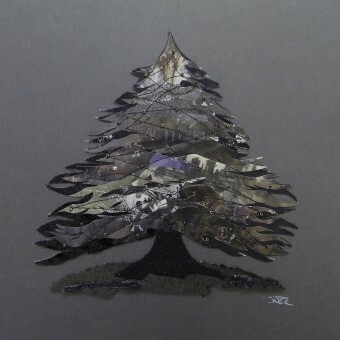 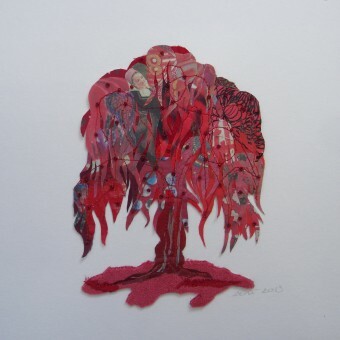 She works in mixed media, using paper cutouts, fabric and beads to create her images of trees. 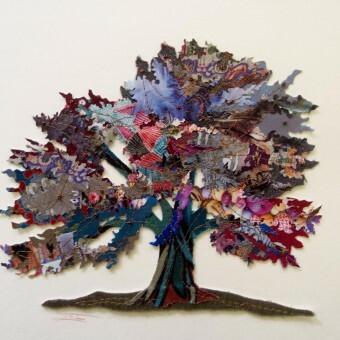 Respectful of the rarity of trees in Connemara, Inez carefully captures their versatility and variety through a delicate assemblage of colours and textures in her collages.